It’s been over ten years since that fateful September day when the United States was attacked in NYC, Pennsylvania and Virginia and yet the memory and the conversations are never stale. Yesterday I was invited by Sharon Snow of Landscape Forms to attend the Cleveland Botanical Garden’s 82nd Annual Meeting which concluded with a fabulous lecture by Peter Walker, landscape architect of the National September 11 Memorial (in the former footprint of the World Trade Center towers). 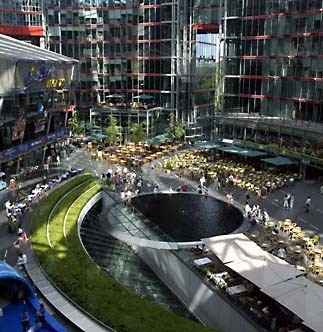 As a designer and avid traveler, Peter’s work at PWP Landscape Architecture captured my attention years ago in Berlin where his team designed the effervescent Sony Center plaza. 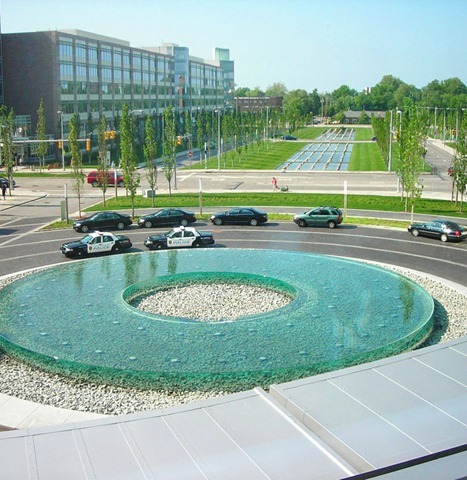 Currently, he is working locally in Cleveland, commissioned to create a calming, serene environment for the Cleveland Clinic’s Main Campus. While a decorated designer and professor, he humbly spoke to the gathering of nearly 100 Garden Members and design professionals and acknowledged that the Delia White Vail Memorial Medal for Community Horticultural Achievement meant so much to him because it came from a group of nature enthusiasts. Enthusiasts they were. After presenting his philosophy on the importance of breaking planes and strategies in making place, Peter opened the floor to questions. 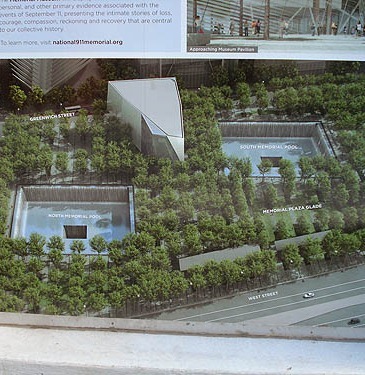 The first came from a gentleman who inquired what were the plans for gathering acorns that would fall from the 427 trees planted throughout the Lower Manhattan site. Incredible. The next was a question about the weight of the oaks bearing down on the shopping and transit center below once they reached their 100 year lifespan. I could hardly contain my silent laughter, thinking to myself that I’d never been to an architecture lecture sitting in a room of older women and gentlemen who think it is a crying shame that bronze is so expensive and who worry about the differences between oaks from PA and NY, because apparently there are vast differences. As I looked around the room, it occurred to me how much passion there was shared between the audience and the presenter. Is there ever that much excitement and dedication in architecture? Does 100% of the lecture hall ever stay awake for architecture, even? I enjoyed the lecture immensely because, unlike some architecture lectures that are geared towards architects, the elitist attitude was entirely missing from Peter’s talk and he spoke genuinely about problems and solutions. I learned so many valuable lessons in an hour’s time – including the advantages of making a purposefully ugly model to prove your point that 20’ tall mechanical units have no place breaking the walking surface. More importantly, I learned that Landscape architecture programs must not teach ego the way architecture programs beat lofty rhetoric and black t-shirts into your life. Or maybe it’s all that sunshine that comes with an outdoor office?